Mrs Bishop's Bakes and Banter: What was in our May Degustabox? 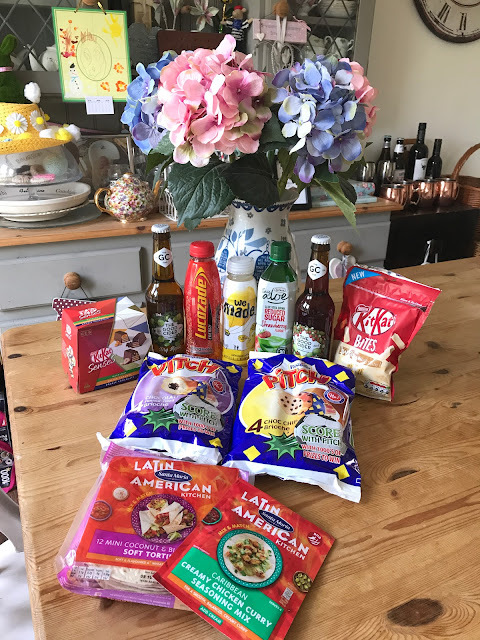 It's Degustabox time once again - this month the box was themed 'World Cup' - I have to say, of all the boxes I've received so far, this box was a little disappointing in comparison...there didn't seem to be much to this months box and there was also a repeat product (Lucozade), which we had in the April box. Which is a shame. That being said, there were a few lovely products included this month, so it's certainly not all bad. Caribbean fare is melting pot of cuisines and a food lover’s paradise. Our seasoning mix is inspired by Indo-Caribbean food and, with its mild curry flavour, goes perfectly with chicken and cream. Alternatively, use with vegetables and coconut milk to suit vegan, vegetarian and lactose-free diets. Soft & Flavoured 6’ what flour tortillas. 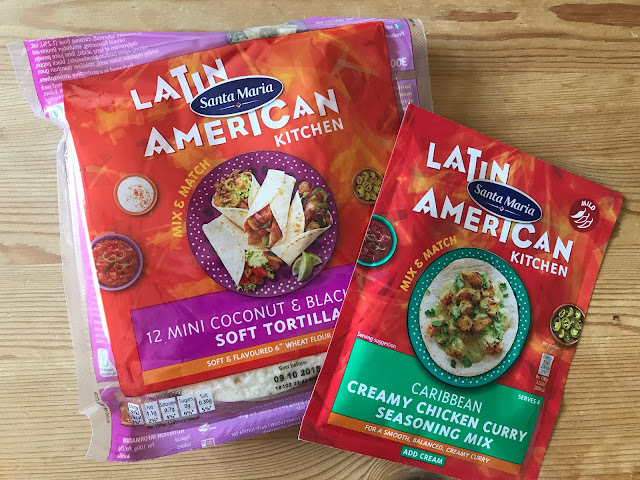 These irresistible little tortillas are deliciously flavoured with coconut, lime and black pepper – all typical Caribbean ingredients. The slightly sweet flavour of coconut and the tanginess of the lime make It perfect to fill with flavour-intense or spicy food. 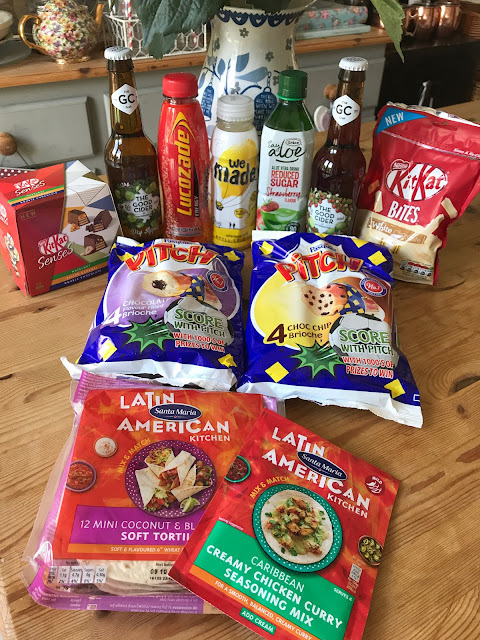 What we thought: We are looking forward to trying these products tomorrow night for dinner, we've never had a curry in wraps before, so I will come back and update this post once we've had it! Say Aloe isn’t your average drink. Real pieces of aloe vera give the drink its unique texture, and its clean and refreshing flavour makes it deliciously different refreshment. Say Aloe is also rich in Vitamin C with no artificial flavours or colours, so why not go on and hydrate yourself! 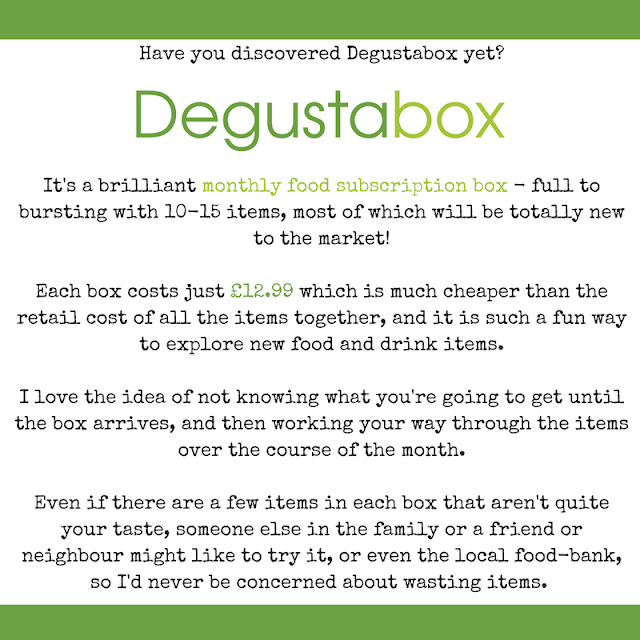 *One of two flavours is included in each Degustabox. What we thought: I'm afraid this wasn't for me. I've tried quite a few aloe drink brands through Degustabox, and I haven't liked any of them, so it's not a brand-issue, but more a dislike for the aloe itself. I don't enjoy the slimy/jelly-like texture/pieces in the liquid, and I think it has quite a medical taste. Mini crispy wafer fingers coated in a thick layer of white chocolate. Perfect to share with others, with a movie or as a treat! What we thought: I barely got a look-in with these...Bert, Connie and Liam DEVOURED them, I *THINK* it's safe to say that they loved them! PITCH is a delicious, soft brioche roll with a generous amount of dark chocolate chips or chocolate filling. They are free from preservatives and artificial colours. 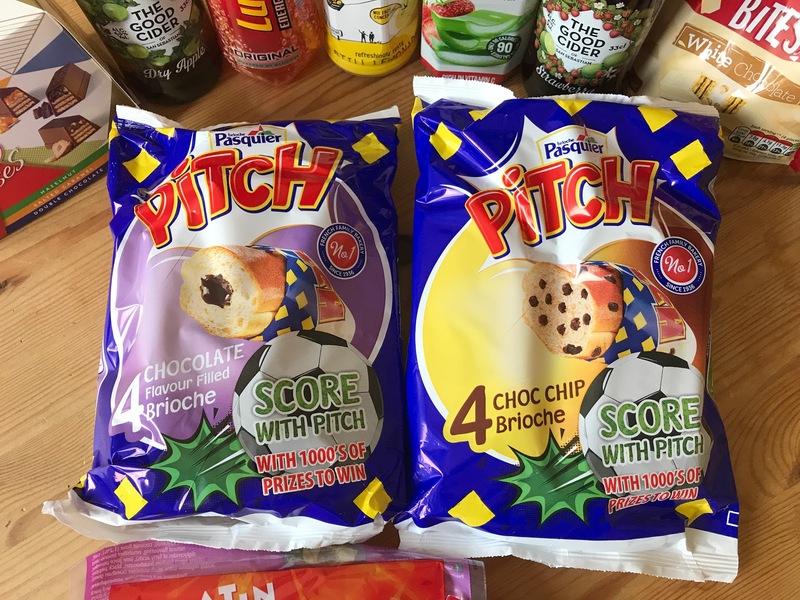 Our Pitch are individually wrapped making them great for lunch boxes, sports, car journeys and much more! Loved by kids but enjoyed by all. What we thought: We are already HUGE fans of Pitch brioches, we've bought them on many occasions from our local supermarket and the kids really love them. I love that they are individually wrapped, making them so handy for snacks when we are out and about. 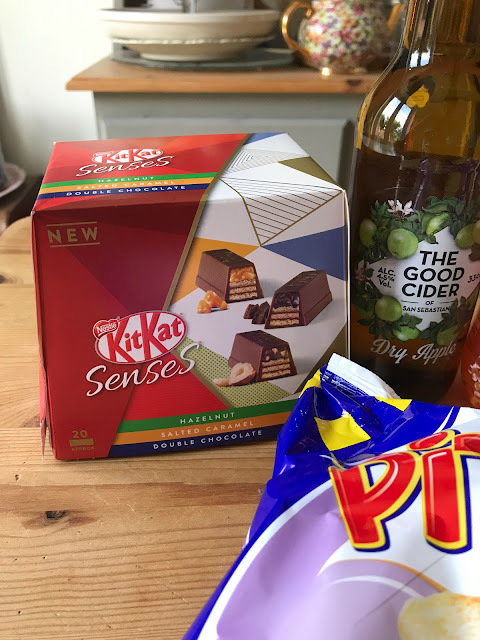 Made to share, our mixed box of KitKat Senses includes all 3 deliciously indulgent flavours: Salted Caramel, Double Chocolate and Hazelnut. Life the lid to reveal a pop open box designed for sharing, full of individually wrapped indulgent treats – with something for everyone to enjoy. What we thought: YUM!! 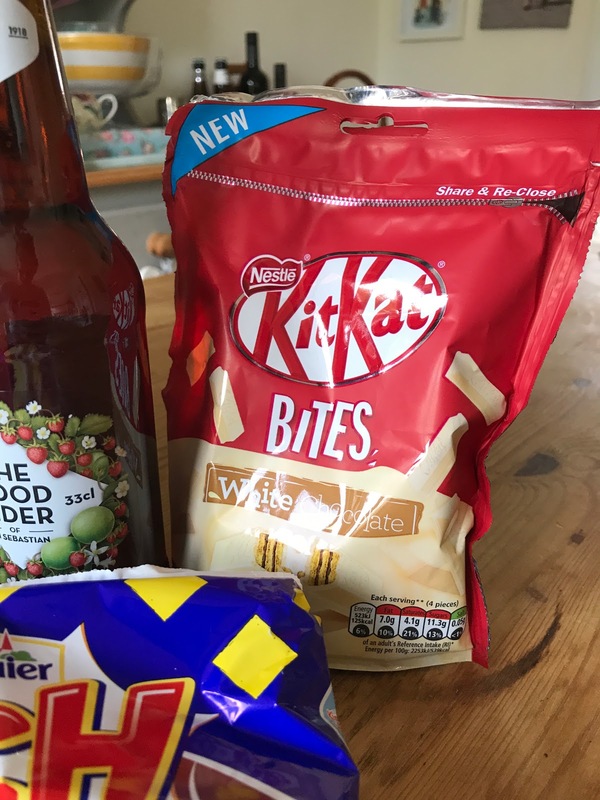 These are really tasty and I love the packaging - the sharing aspect is fun: they'd be great to take along to a BBQ, dinner with friends, a girlie night or a picnic. Discover the great taste of Lucozade Energy Original in the moment when you need it most. Whatever your day may hold, remember your Energy Beats Everything! Lucozade Energy is best served chilled, so put your bottle in the fridge for maximum great taste! 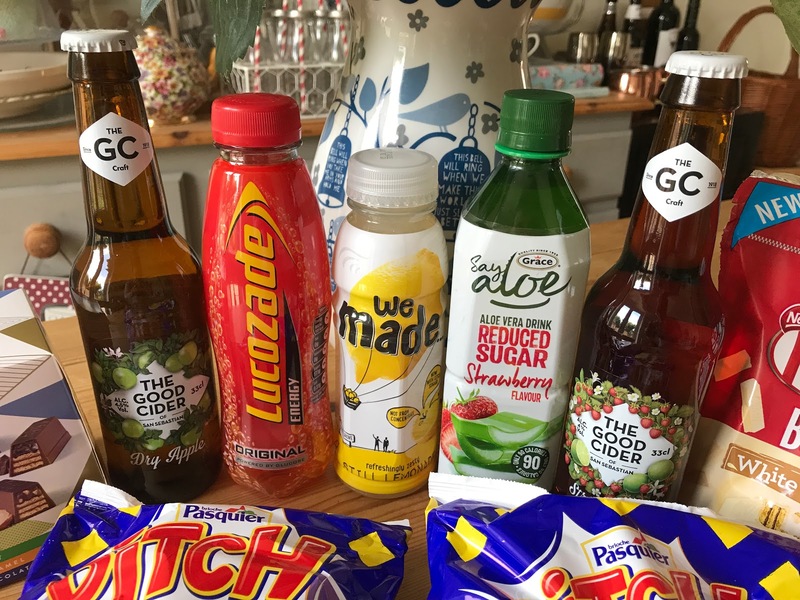 What we thought: Same as last month, Lucozade is a blast from the past for me! It really reminds me of my childhood - long hot summer holidays or sick days when my mum used to give me some Lucozade to perk me up! I don't usually drink my calories but I did have a taste of this for old times sake and it was just as I remembered it. At 133 calories for the whole bottle, I'd definitely have to be in need of a major energy boost to drink the whole bottle. Our refreshingly non carbonated drinks contain absolutely no artificial flavours, additives, preservatives or refined sugar! Unlike many other drinks today, our drinks offer a refreshing and genuinely strong flavour without being packed with a whole bunch of artificial nonsense. *One of two flavours is included in the non-alcohol version of the Degustabox. What we thought: This was lovely and really refreshing - a nice summer drink. Good to know it isn't full of nasties! I love that it's still rather than sparkling, as I'm not a huge lover of fizzy soft drinks. The Good Cider of San Sebastian is a premium cider with a typically fusion of high-end design and modesty. This craft cider is produced from 100% natural apples and it is available in different varieties: apple, apple 0%, dry apple pear, peach, wild berries and strawberry lime. What we thought: These were really yummy. Liam and I enjoyed them with dinner one night last week - they were such a treat. I think these are especially nice summer time drinks, super fruity in flavour but not too overwhelmingly sweet. I'm holding out hope that next months box is going to be a little more exciting than this one. Hopefully we'll be in for a treat! I can't quite put my finger on why this box didn't excite me as much as the others? I think when we receive drinks heavy boxes I'm not as enthralled as we really only really drink water and milk, and the adults only water, tea and coffee. That being said we did enjoy the cider, and that isn't something we would usually buy. I really appreciate for this great information,You must be a kind people because you share your knowledge through articles.Thanks for sharing your knowledge.